After years of mediocrity you can have a team that rises from the depths and come within inches of joining the elite. Some even become more than contenders as the stars seem to align and the team matures into a once in a lifetime meteor. Back in the years before free agency in the NFL, most teams were built by implementing a 5 year plan. Down in the land of Dixie, one such would be champion was being groomed in Atlanta. Could Cinderella really break through and win that elusive Super Bowl before the clock struck midnight?? Wiliam Andrews ran with thunder. Borne out of expansion in 1966, the Atlanta Falcons became the 2nd NFL franchise to be started below the Mason Dixon line. Although the New Orleans Saints franchise would begin play a year later, it was just the Falcons and the Dallas Cowboys as most teams were platooned in the northeast U.S. Ironically the southeast had been a Washington Redskin television market in the years preceding the Falcons. However the Cowboys gained more fans as Tom Landry’s teams dominated in the late 60s and appeared in 5 Super Bowls in the 1970’s. The Falcons struggled for years just to field a competitive team. Very few stars outside of LB Tommy Nobis, the franchise’s 1st ever draft pick, played with any distinction. It took the team nearly a decade to field their 1st 1,000 yard rusher in Dave Hampton. Even that was an odyssey as he fell less than 10 yards short of 1,000 in successive years before eclipsing the feat in 1975. That same year Atlanta landed 1st overall pick in QB Steve Bartkowski out of Cal. Giving the offense credibility with the team’s 1st legitimate franchise signal caller. However they had to throw him into the fire and play him as a rookie. The results were less than impressive as Bartkowski completed less than 50% of his passes while throwing 30 TDs to 55 interceptions over his first 4 years. New Head Coach Leeman Bennett came in ’77 and brought with him Defensive Coordinator Jerry Glanville. With a young developing QB and a hodge podge set of runners, the Falcons through caution to the wind and employed a gambling blitzing scheme defensively. Known as “The Gritz Blitz” they actually set the league record for fewest points in a 14 game season with 129 and finished ranked 2nd to the World Champion Cowboys. However with the NFL’s 25th ranked offense and 25th scoring offense, they could only muster 179 points to finish with a 7-7 record. They used this recipe to sneak into the ’78 playoffs where they nearly upset Dallas in the divisional playoffs. Once there they knocked out starting QB Roger Staubach and had Dallas on the ropes. Second string QB and team punter Danny White led the Cowboys to a 27-20 come from behind triumph over an incomplete team that had to get better. One of the best passing combinations in 1980. Getting by on gimmicks wasn’t enough. If the Falcons were to compete for a championship they needed some blue chip talent ready for prime time play. For the ’77 and ’78 seasons they finished 25th and 26th on offense and only had DE Claude Humphrey, CB Rolland Lawrence and P John James as the lone Pro Bowl representation after the ’77 campaign. They were that anemic. Yet with a developing QB in Bartkowski going into his 5th year, he was to take a giant step forward in his maturation. So the Atlanta brass went looking for offensive firepower to surround him with in the 1979 draft. 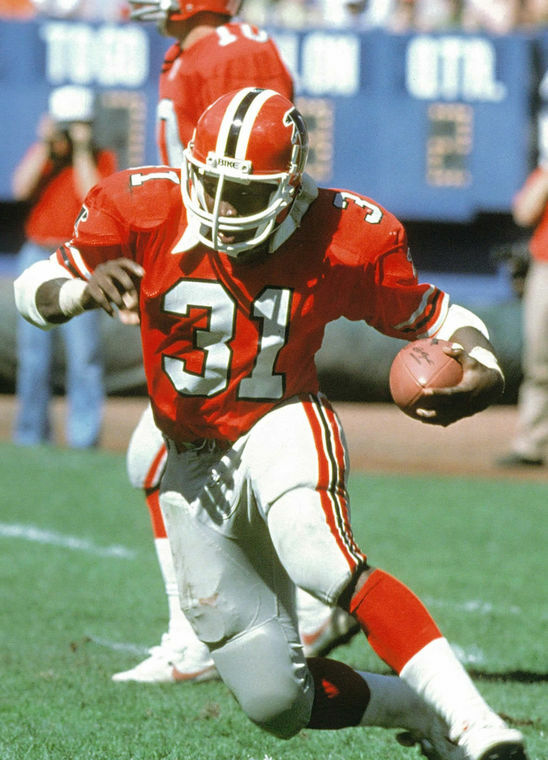 Atlanta struck gold in the draft when they nabbed William Andrews and Lynn Cain in the 3rd and 4th rounds respectively. Cain was a solid halfback but it was the bruising Andrews that gave the offense an identity. He bludgeoned defenders rushing for 1,023 yards averaging 4.3 yards per carry in his rookie campaign. With defenses having to put 7 and 8 in the box to stop Andrews everything opened up. In 1980 everything came together as Cain and Andrews nearly became the 3rd tandem in NFL history to each rush for 1,000 in the same season. Andrews had a career year with 1,308 yards and 4 TDs while Cain pitched in with 914 yards and 8 scores. Bartkowski came of age in 1980 throwing for more TDs than any quarterback in the NFL with 31 and 3,544 yards… both team records. Wideout Alfred Jenkins (1,035 yds / 6TDs) teamed with rookie TE Junior Miller (584 yds / 9TDs) to make the Pro Bowl as Bartkowski’s top downfield targets. Everyone of these players had the best season of their careers to this point with all but Cain making the Pro Bowl. National pundits lauded the exploits of “Air Coryell” with the Chargers of the AFC however it could be argued this was a more complete offense. The Falcons finished 9th in passing, 5th in rushing, and ranked 3rd overall behind the Chargers and the Rams in offensive statistics. Who do you stop?? Where do you begin to defense an offense with nearly every skilled player worthy of Pro Bowl recognition?? Oh the other wideout?? Wallace Francis, who also nearly went for 1,000 yards with 862 yards and another 7 trips to the endzone. Curry and the defense held their own in 1980. Defensively the Falcons weren’t quite as effective in years past with the blitz yet fielded a decent defense with ILB Buddy Curry, OLBs Al Richardson (7 ints.) and Joel Williams leading the charge. Curry and Richardson were rookies where Williams was acquired in ’79 but didn’t hit the field until 1980. They finished in the middle of the pack in terms of defensive ranking yet were 5th in pts allowed with 272. Head coach Leeman Bennett’s team hurtled through the heavens finishing with a 12-4 record winning 9 of their last 10. 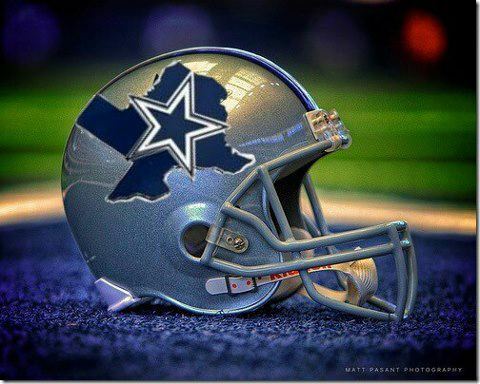 For the 1st time in their history finished as the NFC Western Division Champs. The entire season was a campaign battling for respect. As the playoffs beckoned they would get their chance facing the team that was always there to knock the Falcons back to also-ran status… the Dallas Cowboys. However coming into this NFC Divisional Tilt the Cowboys would have to travel to Atlanta for the first time. While the Cowboys offense had broken numerous team records in their 1st season under Danny White, their defense had aged as the 70s drew to a close. They were still America’s Team but gone was “Hollywood” Henderson, Cliff Harris, Hall of Fame CB Mel Renfro, S Charlie Waters due to injury from the defense. The team that was #1 in 1977 and #2 in 1978 fell to 17th in 1980 overall and 17th against the pass going into the playoffs. Could the Cowboys keep pace with the high flying Atlanta offense?? Would the young Falcons be ready for primetime playoff football or would the moment be too great?? After all most of these players weren’t there in the 1978 playoff meltdown against Dallas but they were still young…would they be affected?? The Falcons scored 1st on a Tim Mazetti field goal then struck deep with a 60 yard bomb from Bartkowski to Alfred Jenkins to go up 10-0. Tom Landry’s charges weathered the storm and tied it up midway through the 2nd. However a closer look reveals Landry’s Flex Defense was controlling the game. They sacked Bartkowski 4 times and held the Falcons to 86 yards rushing for the game. This is a team that averaged 150.5 yards per game with 2 backs that almost had 1,000 yards each!! So when the Falcons went up 24-10 late in the 3rd and tried to lean on their running game to get them to the NFC Championship & couldn’t produce, they allowed Danny White to keep firing. Could they just get to the finish line…?? They couldn’t hold off the playoff pressure ready Cowboys who outscored them 20-3 in the 4th quarter to steal the game 30-27. White came of age completing 25 of 39 for 322 yards and 3 touchdowns. 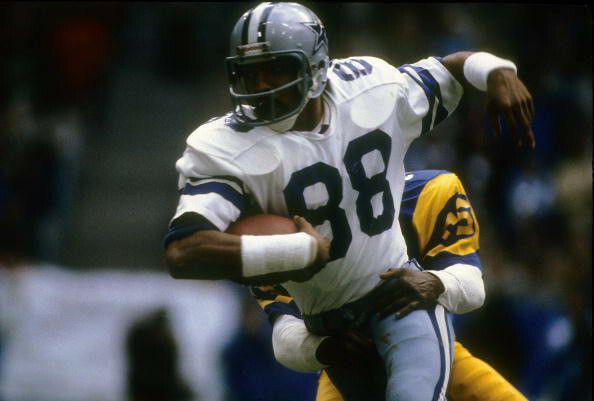 Danny White to Drew Pearson and Dallas knocked Atlanta back again. Well with the youngest team in the NFL lead by a franchise QB this was only the beginning for Atlanta…right?? Would you believe they never returned to the playoffs after the 1980 playoff collapse?? They fell to 7-9 in 1981 as the San Francisco 49ers came out of nowhere to win the NFC West. Andrews rushed for 1,300 yards and Bartkowski threw for 30 touchdowns again but the defense totally broke allowing 355 points. Injuries and an inability to mesh complete seasons from Lynn Cain, Junior Miller and company led to Head Coach Leeman Bennett’s departure following the 1982 season. They did make it to the 1982 playoffs when a strike shortened season allowed 8 teams per conference in a single elimination tournament. Atlanta went in with a 5-4 record and lost in Minnesota 30-24… is that really making the playoffs?? Their once great offense slipped to 14th in scoring and led to Dan Henning being hired from the Air Coryell coaching tree in 1983. Yet they looked up in the division to the San Francisco 49ers the rest of the decade just as they had the Los Angeles Rams in the 70’s. For one brief moment in 1980 it all came together and they let it slip away.